Being simply a forced expiration at a lung volume of approximately 60 percent of total lung capacity (TLC), the test is easy to perform and record with current pulmonary function laboratory equipment. What is the advantage or additional value compared to the commonly used maximum expiratory flow-volume (MEFV) curve? When studying subtle changes in airway tone, MEFV curves may be difficult to interpret because the deep inspiration can alter the caliber of the airways so that subsequent measurements will be changed by the proceeding deep breath. This has been called a “volume history” effect. For example, an inhalation to total lung capacity in normal subjects reduces airway tone and also decreases the effects of induced bronchoconstriction. 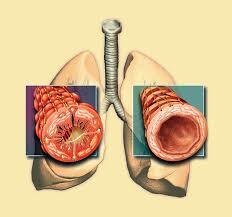 In asthmatics, both bronchoconstriction and bronchodilatation are frequently seen. Bouhuys and colleagues demonstrated that the bronchodilating effects in normal subjects can be avoided if forced exhalations are initiated at a lung volume below the total lung capacity called the PEFV curve. Flow rates derived from the PEFV curve proved to be more sensitive in detecting induced bronchoconstriction than flow rates measured on MEFV curves. Subsequently, Barnes and co-workers found that in normal subjects, the flow rates calculated from PEFV curves instead of the MEFV curves were more sensitive for evaluating dose-response relationships after bronchodilators. It would seem reasonable to conclude that PEFV curves might also be more sensitive for the detection of bronchospasm or response to bronchodilators in asthmatics, ie, the clinical pulmonary function testing laboratory should be using PEFV curves for the assessment of bronchodilator responses in patients. 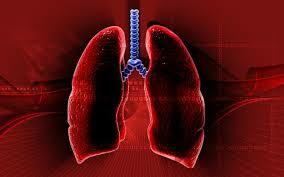 Unfortunately, the situation is more complicated in asthmatic subjects than in normal subjects. After pharmacologically-induced bronchoconstriction, several reports have indicated that asthmatic patients have variable responses to deep inspiration: approximately 50 percent of the asthmatic patients have a decrease in airway tone while the other half may actually increase airway tone. In this issue of Chest, Berry and Fairshter (see page 697) have evaluated the PEFV curve for detecting bronchodilator responses in normal and asthmatic subjects. An appealing feature of their study design is their selection of asthmatic subjects with a greater degree of airway obstruction than in the most previous studies using PEFV curves. Their population, therefore, more closely resembles the variable amounts of airway obstruction commonly encountered in clinical practice. They report no special advantage with PEFV maneuvers for separating normal and asthmatic responses to inhaled bronchodilators compared to traditional measurements such as FEVb airway conductance, or measurements derived from the MEFV curve. In subjects with a milder degree of asthma, our laboratory was also unable to detect any specific advantage for PEFV curves in detecting bronchoconstriction induced by particulate air pollutants. Although PEFV curves appear to offer no advantage over standard tests for the detection of responses to bronchodilators in asthmatic patients, these measurements provide a useful technique for investigating the pathophysiology of bronchomotor tone. For example, Berry and Fairshter have confirmed previous observations that only approximately 45 percent of asthmatic patients bronchodilate after inspiration to total lung capacity, compared to 75 percent of normal subjects. Furthermore, they provide data to suggest that asthmatics with the most severe obstruction are the group most likely to have bronchoconstriction after deep inspiration. Such a relationship contrasts with the findings of Fish et al who concluded that the degree of airway obstruction did not predict responses after a deep inspiration in mild asthmatic patients. Why the difference? Perhaps it is simply a reflection of the different asthmatic populations studied. Berry and Fairshter included more severe asthmatic patients in their population so they were in a better statistical position to detect responses in this group. The study by Berry and Fairshter gives the clinician detailed specific information about the difference in response to bronchodilators in normal compared to asthmatic subjects. Any clinician who uses bron-chodilator responses to detect asthma or to assess the effectiveness of bronchodilators will find this valuable information for assessing altered airway tone with pulmonary function tests. For this purpose, Berry and Fairshter s article tells us we do not need to record and analyze PEFV curves.